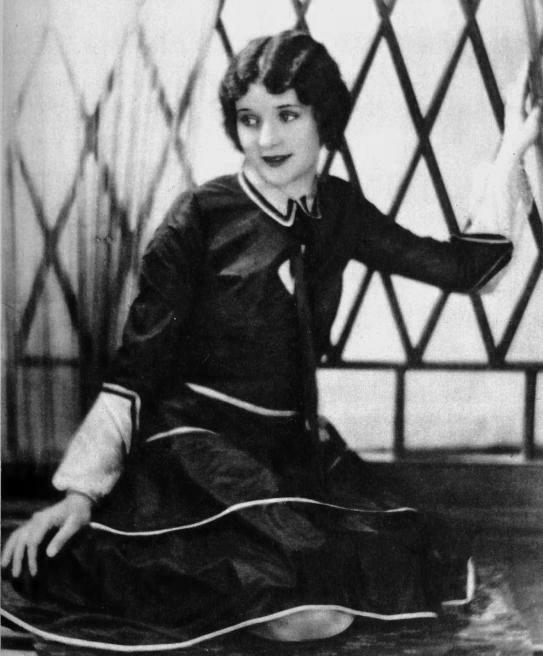 "Marceline Day is not only sitting pretty in the window - she is also sitting pretty at the top of the celluloid ladder, a fact you can discover for yourself when you see her in "The Boy Friend" (1926)" - a text in Motion Picture Classic below a full-page picture. "The Boy Friend" (1926) is a critically acclaimed classic romantic comedy starring Marceline Day, who earned glowing reviews for her outstanding performance. The film is not available for viewing, so we have to rely on newspaper articles from the 1920ies. Silent Era lists this film as "survival status: presumed lost", but they have been wrong in the past many times, and could be wrong about "The Boy Friend" as well. If you have any information about a surviving copy of the film please let us know. "The Boy Friend" is based on The "Book of Charm". It was adapted from a noted stage success, in which sparkling comedy is the main element. Marceline Day, the pretty newcomer to the ranks of featured players, who appeared in an important part in Rex Beach's "The Barrier", has the leading feminine role. A young girl's dissatisfaction with the limitations of a small town's social life, and her boy friend's attempt to satisfy her ambitions, form the basis of the story. The events that follow are depicted with delightful touches of humor, while the main thread of the tale is continually interesting. The broader range of the motion picture adequately replaces witty stage dialogue. Comic situations galore have been introduced. Marceline Day and John Harron in "The Boy Friend" (1926). 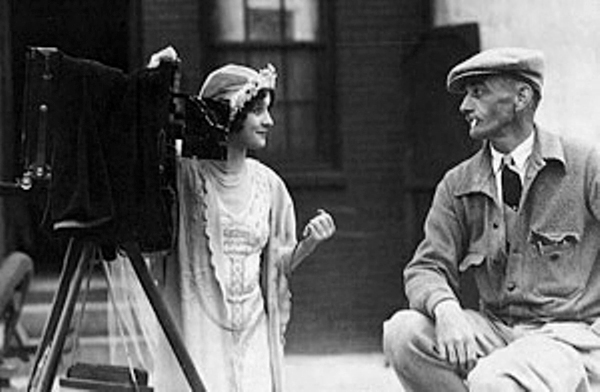 Marceline Day and John Harron in another scene from "The Boy Friend" (1926). 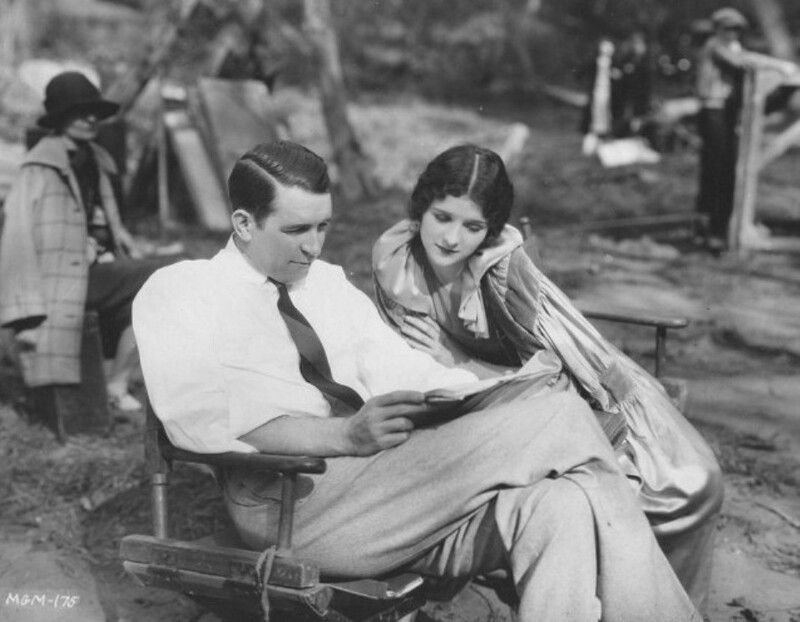 Marceline Day and director Monta Bell read the script on the set of "The Boy Friend" (1926). Marceline Day on the set of "The Boy Friend" (1926).